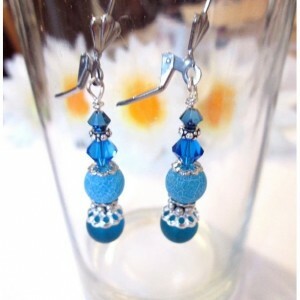 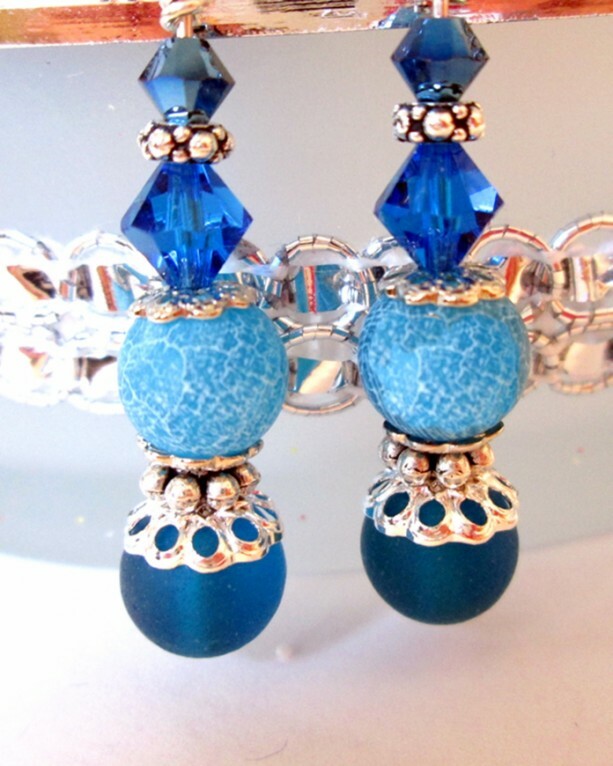 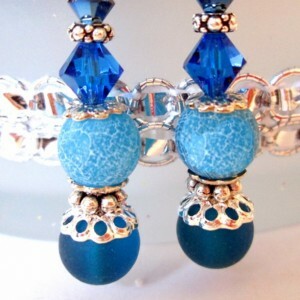 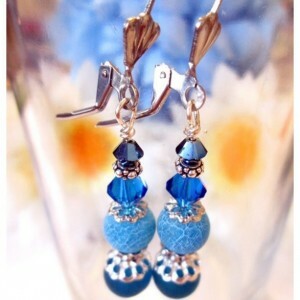 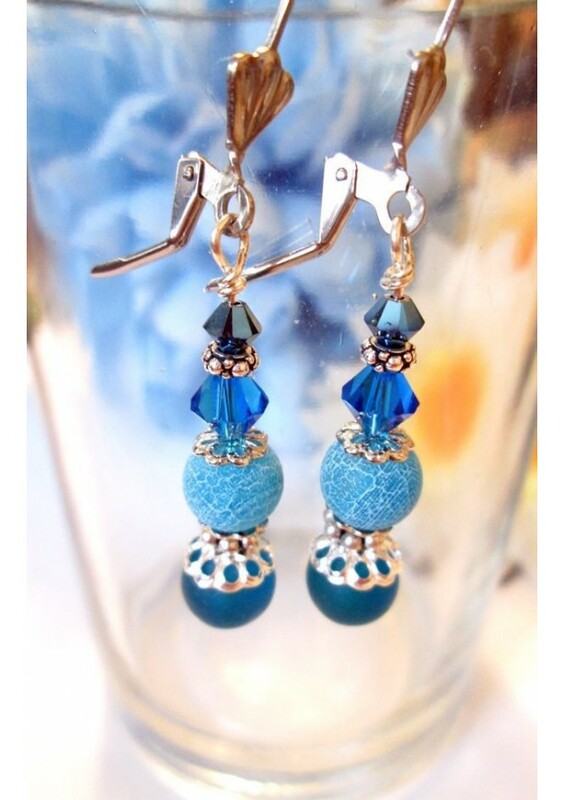 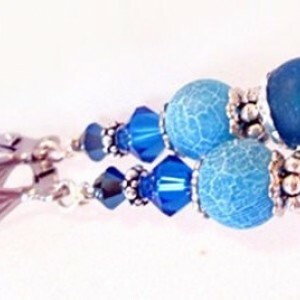 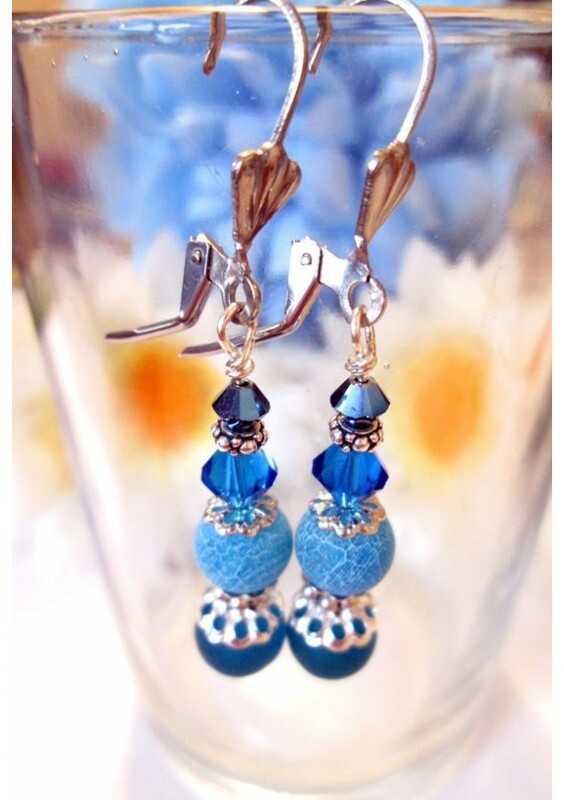 These are a veiny looking light blue, Agate beads dangle earrings mixed with royal blue crystal and glass. 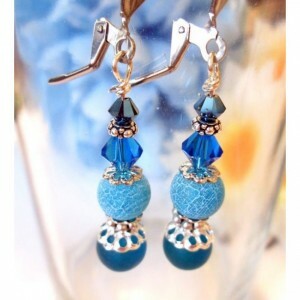 Stainless steel lever back that won't tarnish, however, please avoid using sprays, creams, etc. 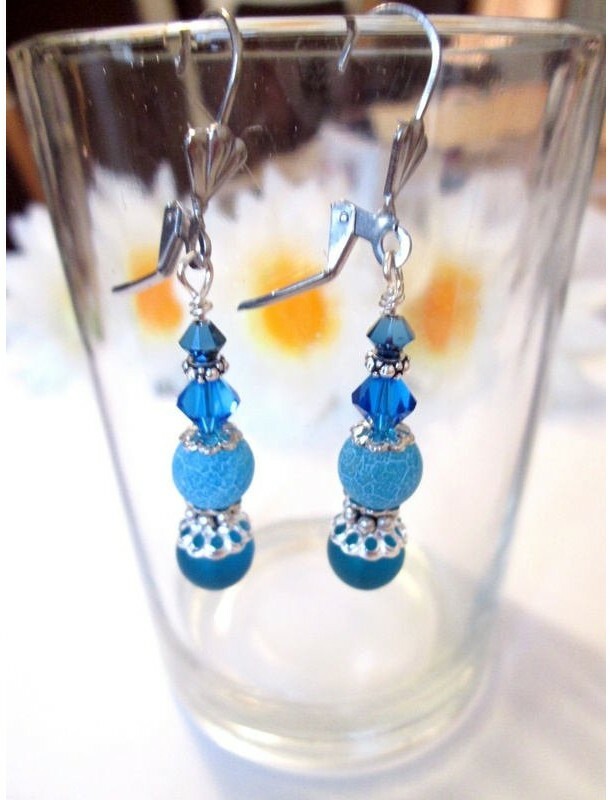 These drop to 3 inches long. 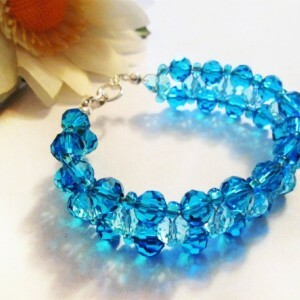 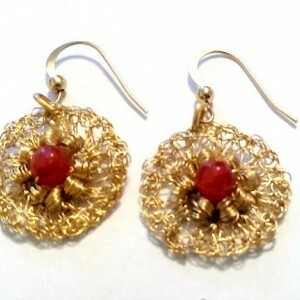 Included in your order will be free gifts, just to say thank you for your purchase!